Another photo taken during the tour of Biltmore House. 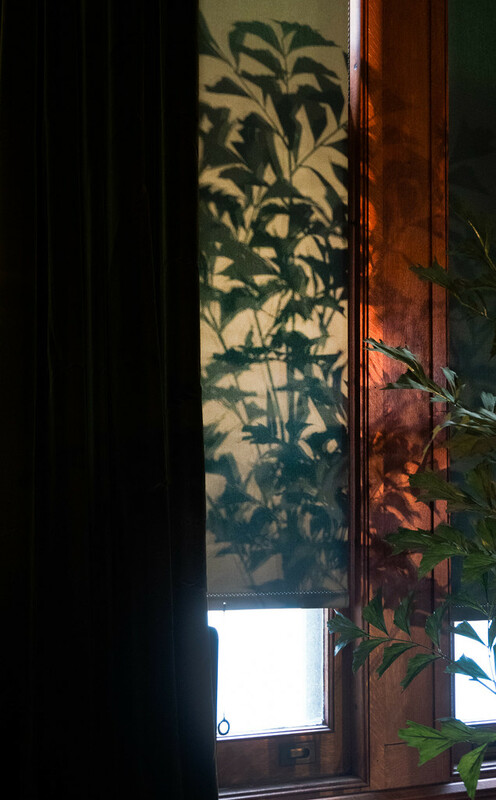 I liked how the light cast shadows of the leaves on the blind at the window. Great play and capture of light and shadows. Oh, nice one! I love the interplay of the plant and it’s shadow. Good eye- very nice shadows. Well done with the light and shadows! You've got a good eye to capture that. Felicity, Ferry, Mary, Dawn, Ann, Haskar, Margaret, Henk-Jan, Tunis, Tom and Caroline: Thank you one and all for the wonderful comments and favs. I appreciate each one of you. Beautiful comp and capture fav! @ziggy77 Thanks a lot Jo.